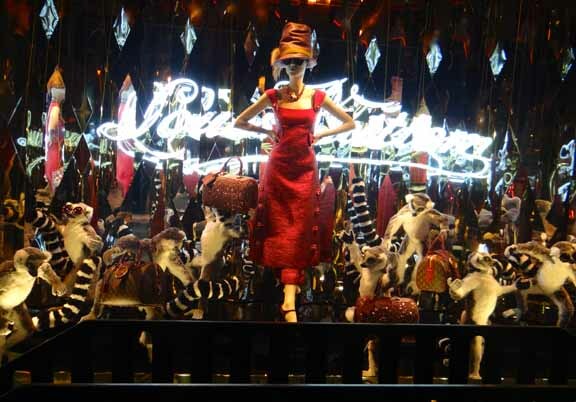 Retail Remedy: Our tour of Paris holiday windows continues with Galeries Lafayette, which kinda sorta reminds us of a not quite as elaborate version of Bergdorf Goodman’s New York windows from a few season’s back. Or, a tad of Le Musée de la Chasse et de la Nature in Paris gone fashionista. Let’s see Richard Nahem‘s report. 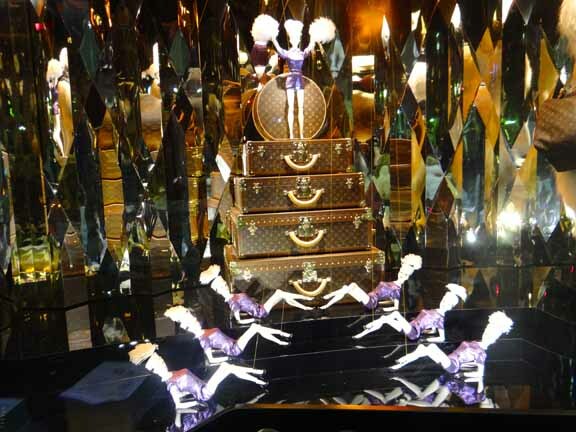 Galeries Lafayette Paris Christmas windows have also been hijacked by a mega-brand fashion label, Louis Vuitton, but at least they are more kid friendly than Printemps this year. 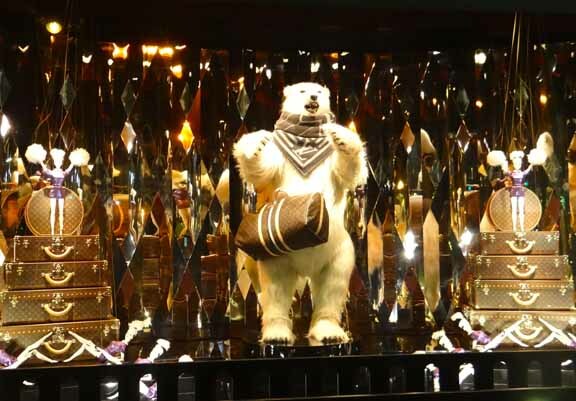 A cute polar bear holding a Vuitton duffel bag, penguins wearing leopard ties and sunglasses, an Afghan dog donning a silk scarf, and a somersaulting panda all proliferate the mighty Vuitton.